Aaron Patterson’s beautiful smoked eel starter is bursting with wonderful seasonal ingredients. 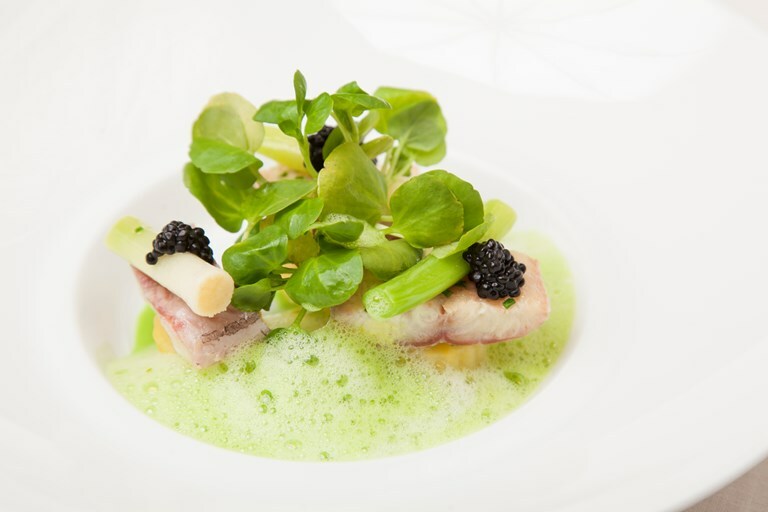 The chef serves the eel in a vibrant watercress velouté topped with pink fir potatoes, tender baby leeks and Avruga caviar. Ask your fishmonger to skin and fillet the eel if you are unsure, just make sure you ask them to reserve the skin.